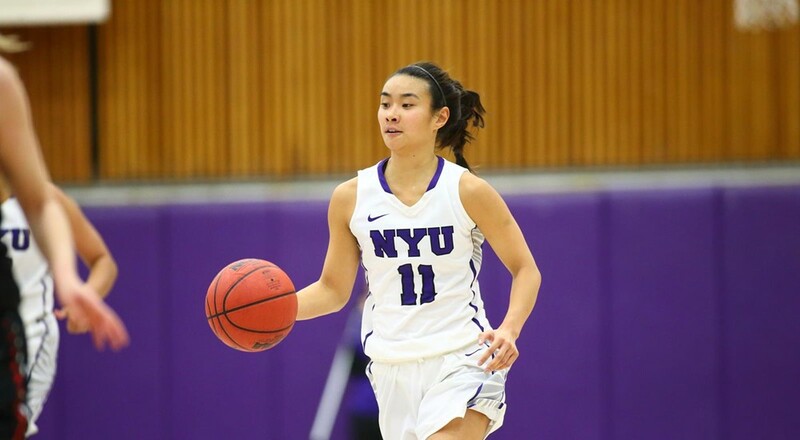 Amy Harioka was the top scoring player for the NYU Women’s Basketball Team during their final game of the season and close loss to Springfield on March 3. The baseball team had a successful start to the season, defeating John Jay College 7-4 on Wednesday and beating Rutgers University-Newark 13-11 on Saturday. The Violets’ victory on Wednesday was hard fought, with John Jay securing the lead for much of the game. However, thanks to runs by sophomores Jack Elias and Bobby Moskow, the team was able to rebound and claim the win. The team entered its game on Saturday with confidence and gained a five-run advantage within the first four innings. Despite this early surge, Rutgers bounced back, tying up the game early in the fifth inning. This deadlock was broken in the eighth inning with the Violets scoring three runs, attaining their second win of the season. The team faced off against SUNY Canton today, where they dominated 20-1. They play next down in the sunshine state on Sunday against University of Wisconsin-Stout. The Violets ended their season this week with a crushing 64-63 defeat by Springfield College in the ECAC quarterfinals on Friday. NYU maintained an early lead for the first half, but Springfield gained new momentum in the second half, attaining the lead for the rest of the game. The team’s strong performance was bolstered by NYU senior Amy Harioka, who scored 22 points. The Track and Field teams competed at the ECAC Indoor Championships this weekend, with the women’s team placing 19th and men’s team finishing in 14th. The Violets were carried by notable performances on both teams. For the women, freshman Evelyn Nkanga earned second in the triple jump with a distance of 11.52m. For the men, sophomore William Lee placed third in the high jump with a height of 1.98m. The Track and Field teams will begin their outdoor season on March 17, at the Emory Invitational in Atlanta, Ga.
Men’s volleyball had a painful week, falling to rival Stevens Tech (25-15, 25-14, 22-25, 23-25, 15-8) on Wednesday and losing in consecutive games against Eastern Mennonite University (19-25, 25-23, 25-16, 25-23) and Marymount University (21-25, 25-22, 23-25, 25-18, 16-14) on Saturday at the Marymount Tri-Meet on Saturday. After defeating Stevens Tech two weeks ago, the Violets entered Wednesday’s game hopeful for a second win. However, the team fell behind early in the game, losing its first two matches and their early momentum. Saturday’s matches were similar, with the Violets securing the first match win. Despite this early lead, things went downhill in both matches, and the Violets were unable to recover. The Violets took on Arcadia University yesterday, defeating them in straight sets 27-25, 25-17 and 25-17. They play again Saturday at the UVC Crossover at Vassar College. Both tennis teams fell to Swarthmore College this weekend, with the women’s team losing 7-2 and the men’s team losing 8-1. The women’s team effort was led by freshman Rupa Ganesh, who secured two wins for the Violets. The men’s only victory this weekend came from senior Umberto Setter. who earned a (6-4, 2-6, 6-4) win. The Violets will travel to Massachusetts next Friday, where the women’s team will compete against St. Lawrence College and the men’s team will face Brandeis University. The women’s softball team started its season yesterday, splitting its opening decisions against Fairleigh Dickinson University-Florham on Sunday, winning the first 20-4, before dropping the following game 9-11.